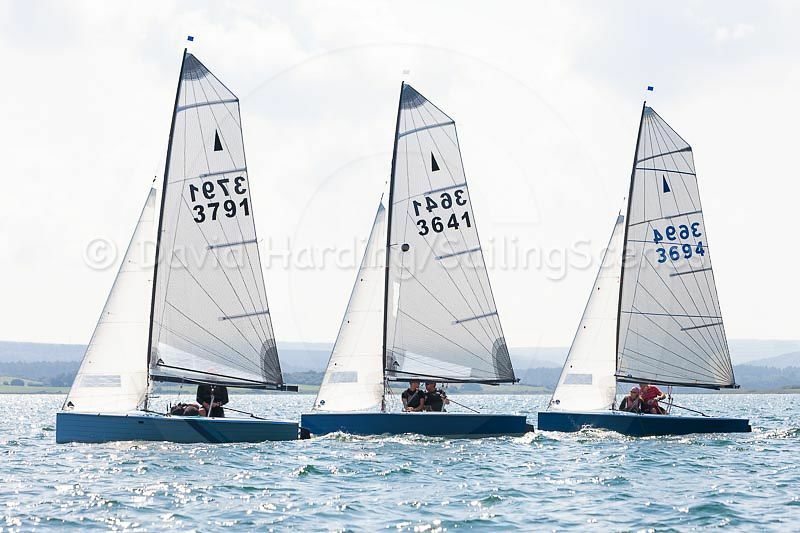 Poole Week started on Sunday with rain, gales and no sailing. It ended on Friday with wall-to-wall sunshine, a perfect breeze and the Red Arrows looping the loop in the background. 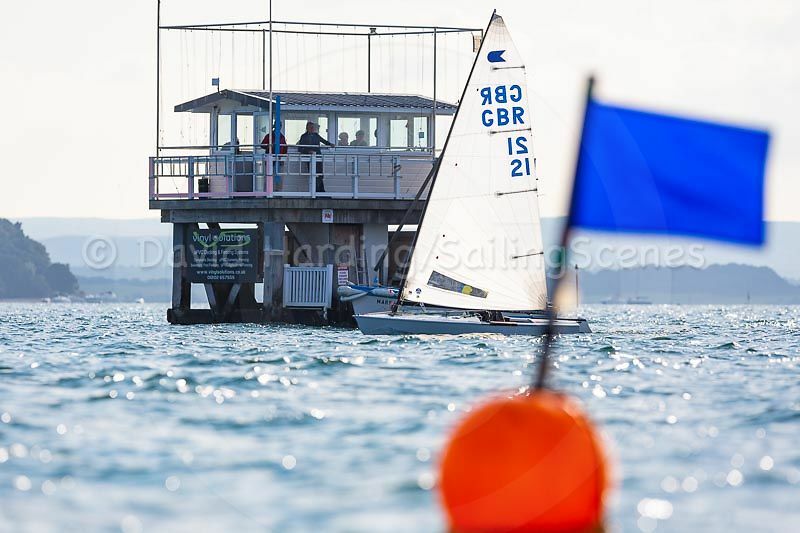 Small-boat racing in Poole Harbour – or almost anywhere else – doesn’t get much better than this. You would have to search hard to find better competition, too. 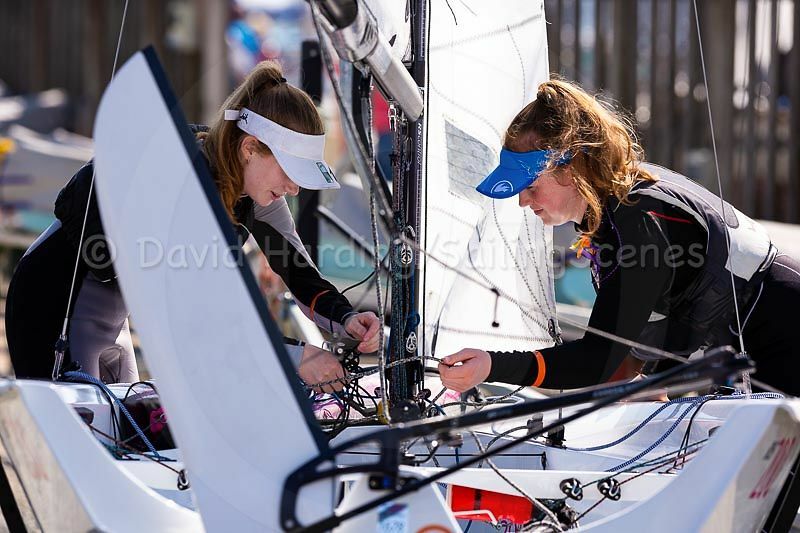 Entries included an Olympic medalist, at least one former world champion and a sprinkling of current or former national champions together with squad sailors and seasoned campaigners on the national circuit. Among them, and making up the majority of the fleets, were weekend club sailors who race for fun but welcome the opportunity to pace themselves against some of the best. 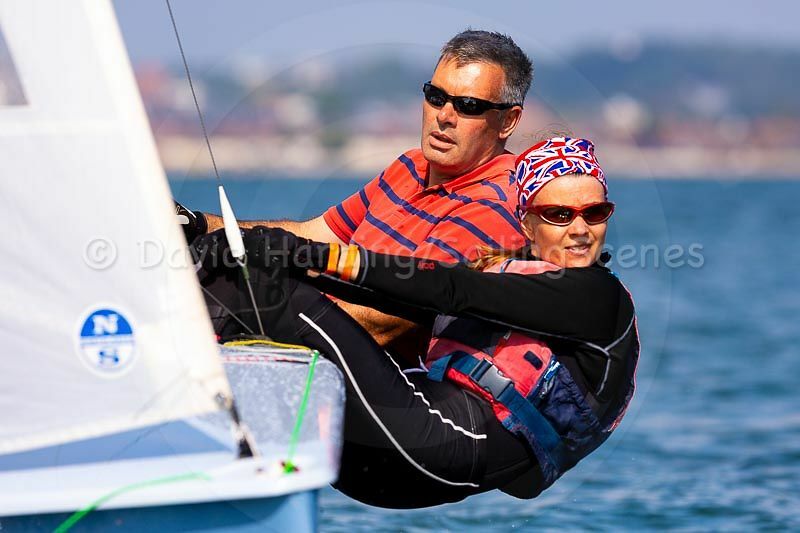 Poole Sailability entered two of their Hawk 20s and Gill Linford’s crew for the week in her Poole Dolphin was Chris (Frosty) Ford, visually impaired but a remarkably good sailor. He helmed the boat to fourth place in the crews' race when crew and helm in some of the fleets swap places for the last race of the week. Many of the classes went into the final day’s racing with the top few places extremely tight. In the XODs, Willie McNeill had been tied on points with Nick Cornish but finally came out on top, as did David Lack in the Shrimpers when he scored his third successive bullet to win by a point from Rod McBrien. 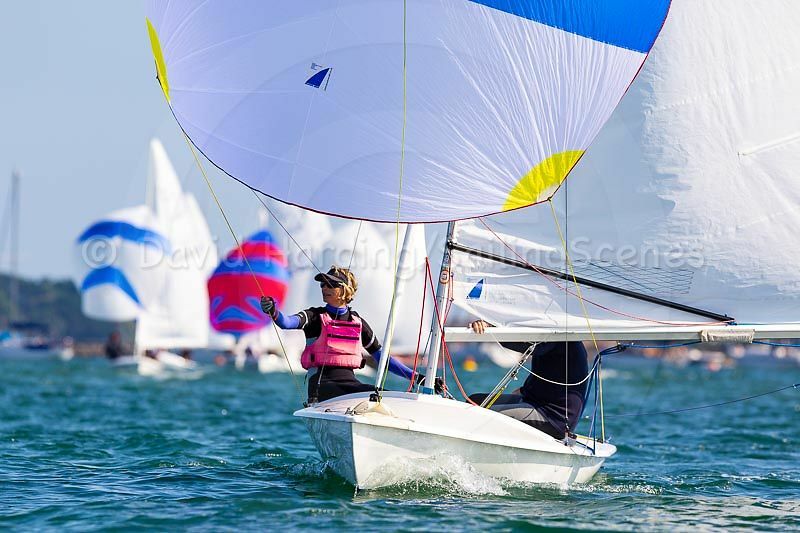 Pace-setters in the Flying Fifteens, Crispin Read Wilson and Steve Brown, didn’t sail on Friday because the boat was heading to Lake Garda for the Europeans to be sailed by Jon Gorringe once he had finished Poole Week in his Merlin Rocket. Pete and Jo Allam, who started the week with a win and scored nothing lower than a 4th, won overall by a single point from regular Poole Week visitors Ian Linder and Kevin Sweetman. The closest finish of all was in the Merlin Rockets, where it had been nip and tuck between the top three boats all week. When Steve and Ally Tyler finished 3rd in Friday’s first race to Mark Waterhouse and Matt Currell’s 2nd, they made life hard for themselves and needed to finish at least three places ahead of their rivals in the last race to be sure of turning the tables. They won, but Waterhouse and Currell came third to make it a tie on points. With both boats scoring the same number of firsts and seconds, multiple levels of count-back were needed before Team Tyler was declared the winner. In some of the other fleets, victories were more decisive. 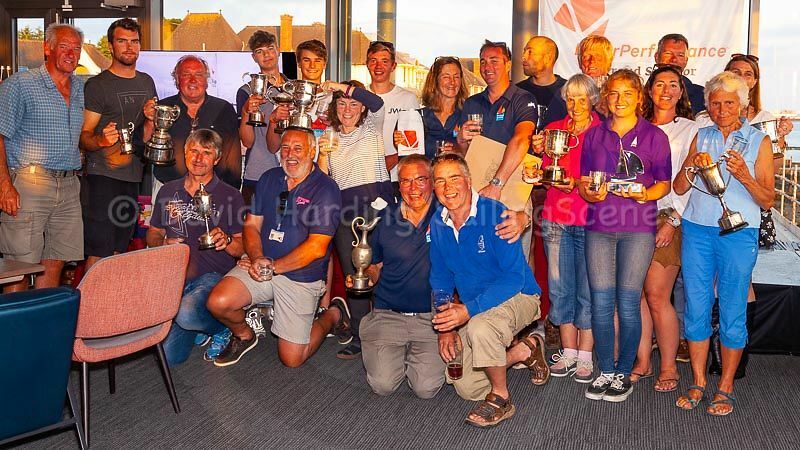 Colin May rose to the top in the Wayfarers and Chris Arnell, sailing his OK in the fast handicap fleet, had a near-perfect scoreline of 8 points from 7 races. And then there were the Lasers, a class for which for which Poole Week is becoming an increasingly significant event. 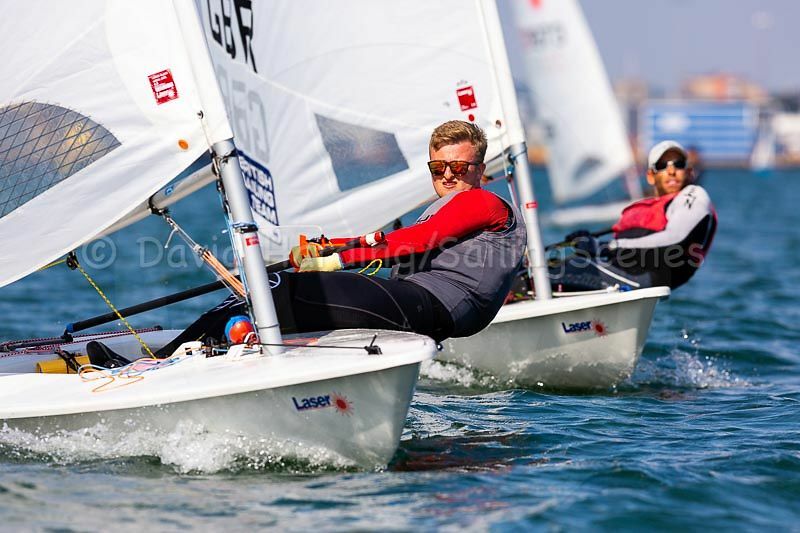 Matt Reid had other sailing commitments on Wednesday, but two DNCs didn’t stop him winning by a healthy 9 points. 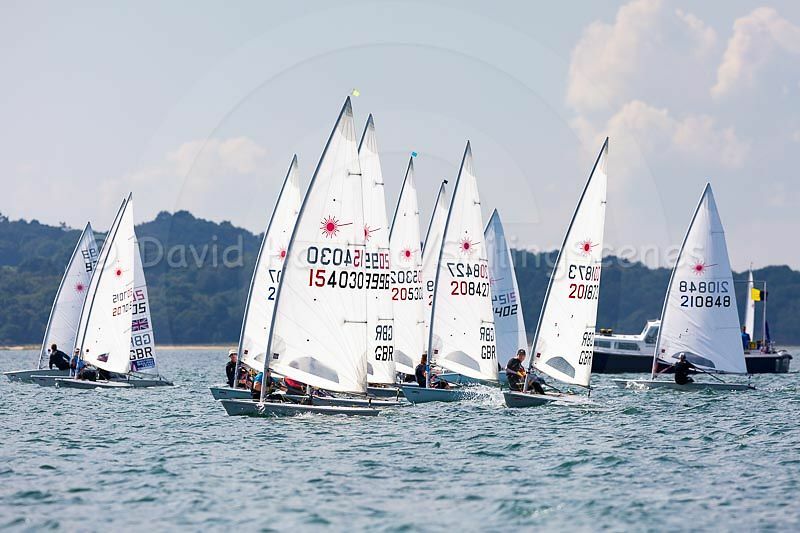 The winner in the Laser Radials also had two DNCs, James Foster missing the first day but then scoring a series of 1st and 2nd places to win by a point from Ollie Sturley. Snapping at their heels in 6th place despite being several years younger was 14-year-old Arthur Farley, fresh from finishing top under-16 at the nationals in Plymouth. Poole Week’s title sponsors, Zhik, have already recognised young Arthur’s potential and are supporting his racing. Despite the closeness of the competition, the week ended without a single protest. 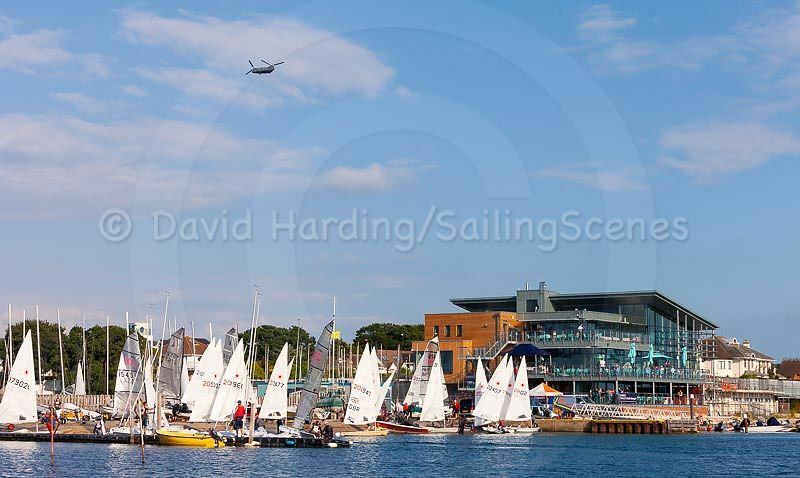 It reflects what Poole Week is all about: great racing in a relaxed and friendly atmosphere. 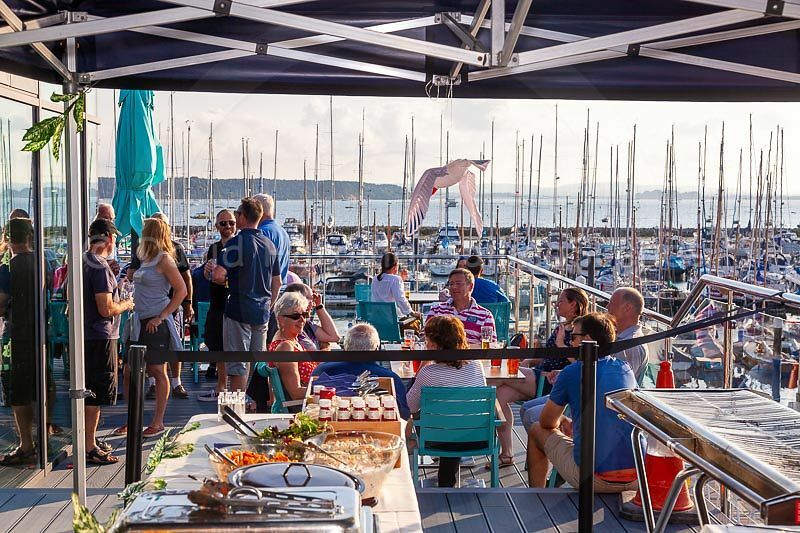 With Poole Week’s reputation growing as a must-do event, many competitors are already entering next year’s dates (18th to 23rd August) in their diaries and hoping to persuade their friends to come along too.